Here’s a hat for those really cold winter days. In 100% baby alpaca it has an alpaca lining too. 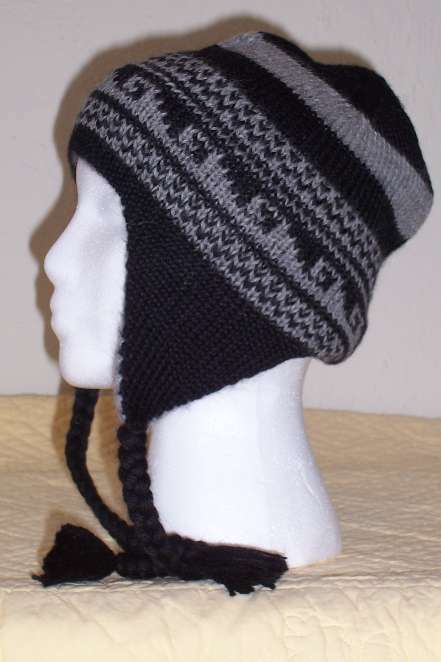 Designed to cover your ears and stay on your head even when the winter wind blows really hard. Two colors available, tan and brown, and black with gray.